For the third consecutive game and fifth time this season, the Marlies and Senators needed extra time for a game decision. Coming into tonight’s game, the Marlies and Senators were even in extra time decisions, but it was the Senators who came out on top today, edging the Marlies 4-3. 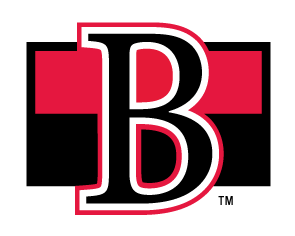 Belleville opened the scoring with a power play goal from Drake Batherson at 9:33. Jordan Murray and Logan Brown assisted on Batherson’s 16th of the season. With time winding down in the frame the Marlies were pressuring as they looked to get on the board. With 1.4 seconds to go, Martin Marincin evened things up with a blast from the high-slot. His first goal in his third game with the Marlies was unassisted. The Marlies outshot the Senators 11-7 in the opening 20 minutes and the score was tied 1-1. Darren Archibald scored the lone goal of the second period to give the Senators a 2-1 lead. His 13th of the season from Adam Tambellini and Chase Balisy came at 14:06 of the frame. The Marlies added a goal early in the third to even the score. Chris Mueller notched the tying goal, tapping in a shot from Marincin just 11 seconds into the frame. They added a third goal at 10:21, capitalizing on a power play opportunity as Mueller found Jeremy Bracco rushing the back post. The Senators were quick to respond and evened the score once again at 12:32 with a goal from Adam Tambellini. The score remained locked at 3-3 at the end of regulation. Logan Brown notched the overtime winner just 1:05 into extra time to seal a 4-3 win for the visiting Senators. 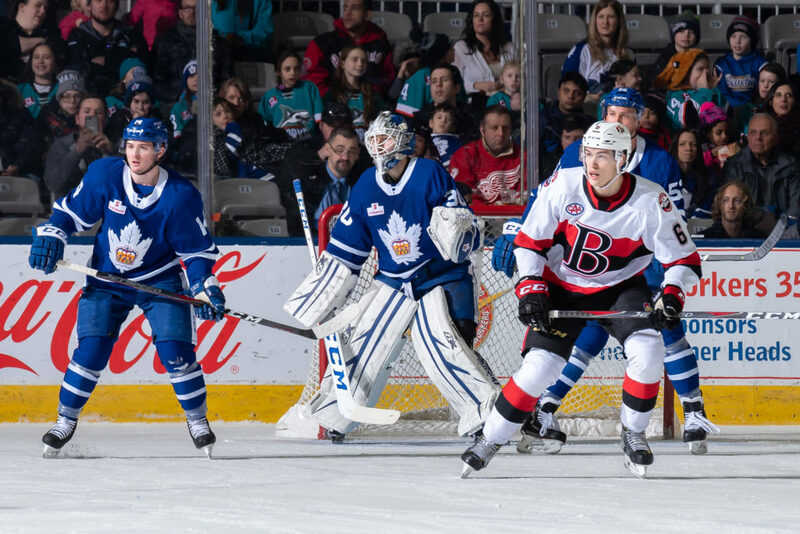 The Battle of Ontario comes back to Coca-Cola Coliseum today as the Marlies host the Belleville Senators for their ninth meeting of the regular season. The Senators have been a tough opponent for the Marlies this season with half of their meetings needing an extra time decision. After edging the Marlies 7-6 in overtime on February 5th, the Senators took a 5-3 lead in the season series. Both teams are coming off wins last night, the Marlies a 4-2 win over Springfield and Belleville a 6-3 win over Laval. Six points separate these North Division rivals in the division standings, with the Marlies currently sitting third and the Senators sitting fifth. Players to watch: Adam Brooks registered two points in last night’s win, including the game winner. He now has 20 points in 35 games. Chris Mueller leads the Marlies with 49 points and has recorded eight points in his last five games. He currently sits third in points and fourth in goals scored amongst AHL skaters. With two assists last night, Jeremy Bracco is now back atop the league in assists with 34. He is tied for first in assists with Chicago’s Daniel Carr. Puck drops at 4:00 PM on Leafs Nation Network, TSN 2 and AHLTV. Fans can follow us on Twitter and Instagram for behind-the-scenes action from Coca-Cola Coliseum.